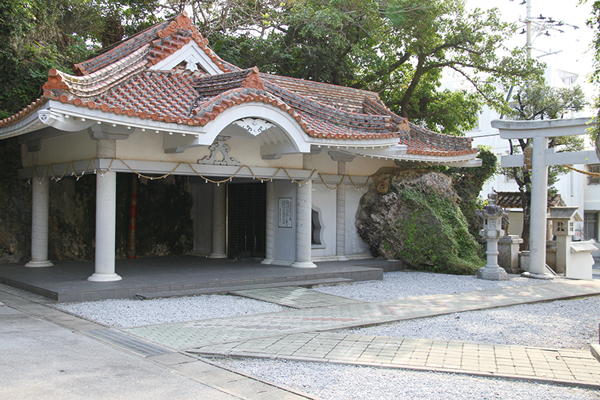 Hakugindou is one of the most famous sacred places in Itoman City, and enshrines the god of the sea. Itoman is traditionally a fishermen’s town, and before traditional events like the Itoman Haarii or Itoman Tug-of-War, it’s customary for people involved in the event to visit Hakugindou and pray for the safety of the event. On the Lunar New Year, people also gather at Hakugindou to pray.